Reduce clutter in the bedroom by investing in a lift up storage bed or a drawer bed. Strictly Comfort offers the largest range of quality storage beds in Sydney. From small Single storage beds to spacious King storage beds, our Australian-made storage beds are manufactured right here in Sydney by experienced craftsmen using only quality materials. Our Australian made storage beds are ready in only 4-6 weeks and if you need a storage bed quicker than that, we will do our utmost to meet your deadline. Made to order, our storage beds are designed with durability and style in mind, making them both comfortable and good looking. When it comes to deciding what type of storage bed you want, there are several things to consider. Lift Up storage beds have considerably more storage space, making them perfect for small rooms and apartments, where space comes at a premium. Whilst Drawer storage beds have less storage capacity, this storage much easier to get to, perfect for soft toys, books and other miscellaneous items. The drawer bed also comes in several configurations, making it a more versatile option. No matter which frame you pick, our storage beds are compatible with any of our bedheads and come upholstered in your choice of fabric. Our Australian made storage beds come with a variety of customisable options. Select from the existing models, or adjust the look to suit your style. Prefer higher or lower bedhead? Our skilled craftsmen will adjust the height of the bedhead to make it perfect for you. 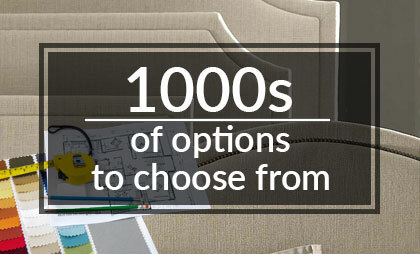 Need help selecting fabric for your storage bed? Our in-house interior designer will make finding the right fabric easy and enjoyable. 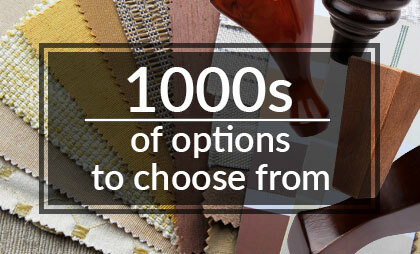 Whether you want to match your existing décor or create a real stand-out, we have the fabric for you. Add contrast piping, studs or buttons to the bedhead for that extra "designer" look. At Strictly comfort, we pride ourselves on your satisfaction. From the moment you visit the showroom you’ll be met by friendly staff who will guide you through the options available to you – with no pressure to buy. 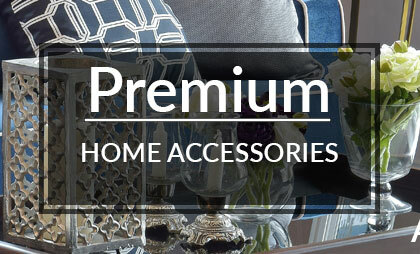 Be the first to know about special offers, new product launches and members-only perks! "Strictly Comfort is proudly Australian owned and operated"